The memorial designers at Bethel-Miller Memorials are highly trained and will work with you to personalize your memorial so that it tells a story – one that reflects your life, your interests, your beliefs and your accomplishments. It is peace of mind knowing that you made the right choice for yourself and your family. No one can predict the future. Financial troubles can delay memorial purchases by families, sometimes indefinitely. Disagreements can have the same effect. Pre-planning is your protection against these uncertainties and a guarantee that your memorial will happen within a budget that you can afford. It is much easier to purchase in advance. When you purchase now, you have the option to pay for your memorial in full or schedule a payment plan that allows you to spread the cost over three years free of finance charges or interest. The price you receive will be today’s price and it is guaranteed not to increase. 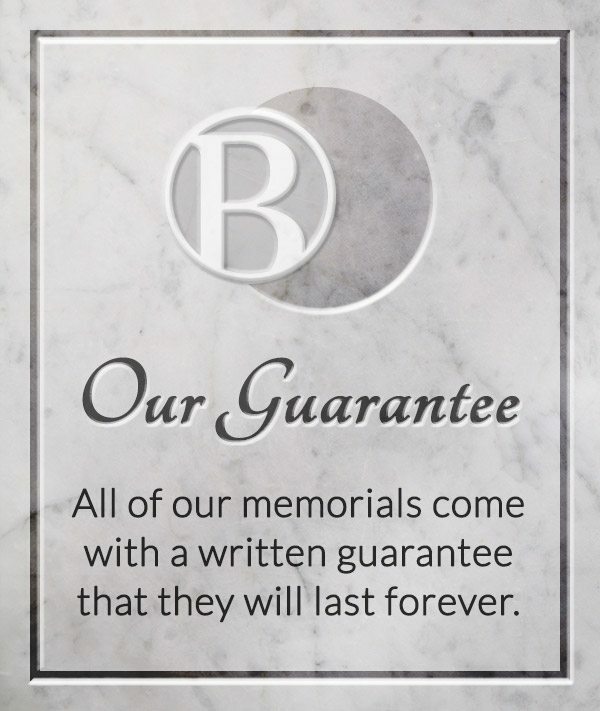 Naturally, you will still be able to personalize your own memorial and receive the same guaranteed quality that Bethel-Miller Memorials offers.